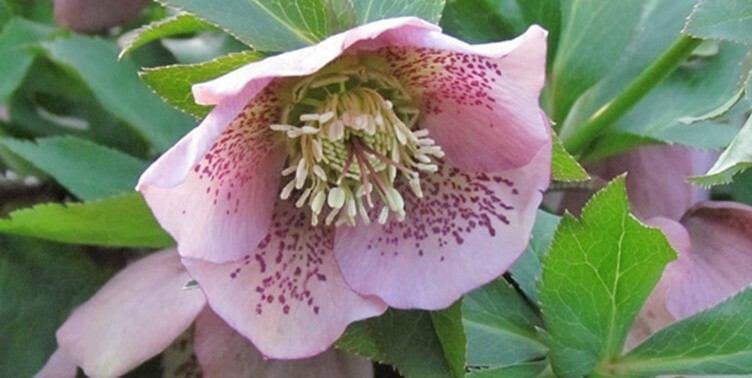 It’s the end of January and snowdrops, helebores are budding and spring bulbs are peeping through the ground. Spring is on it’s way…. Hurray!! The rest of the garden is still in deep hibernation…. but the days are lengthening now. I got tempted with some lovely (fresh into store) firm 4 bareroot lupins at Home Bargains shop for 99p this week so got 6 packets and got them all potted up this morning along with some lily of the valley as I always got gaps to fill in my borders. The lovely winter flowering clematis is draping over the corner of the conservatory with the geraniums inside (wishing summer would hurry up)! Picking up the ‘yellow books’ posters & leaflets from NGS mid February then the fun begins handing them out & displaying them on notice boards, shops and in windows.